With a change in the weather I got the urge at the weekend to dust the bike off and get out for a ride. The great start in January was just that a great start in January followed by an all stop in February and March due to weather and lets face it life. With the weather clearing and a fair amount of guilt at not getting my act together I mounted my Garmin Virb on the bars and headed out for a short ride. From the comfort of your armchair I invite you to come join me in the ride. 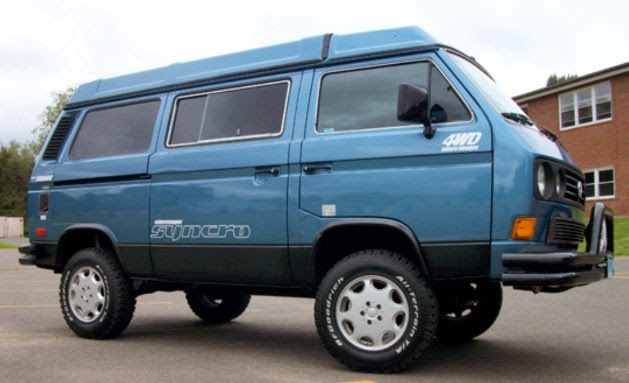 We left Benny our 1985 Westfalia camper outside during the winter and he caught a case of winter blues. Firstly his alarm coughed, spluttered and stopped working. Then he caught a severe dose of the MOLD. It must of crept up on him as we did not notice it until a mid winter picknic when Sarah said I think he has mold. Yup, there it was. With the top down we did not know just how bad it was and with the rain and snow we could not open it up to check. Yes I know on hingsight we could of taken him to a garage or some other place under cover, but we did'nt and yes we feel bad about it. When the snow and rain stopped we popped the top and to our horror the mold was far worse than we thought. The canvas was soaking wet and mold was all over the ceiling and canvas. In a short gap in the weather we dryed out the canvas and brought Benny indoors. When the weather broke, I dressed up in a home made hazmat suit and armed with soap and bleach attempted to clean up the mess. Alas it was not to be. I was strong but the mold was stronger. To ensure we eradicate the mold minor surgery is needed. 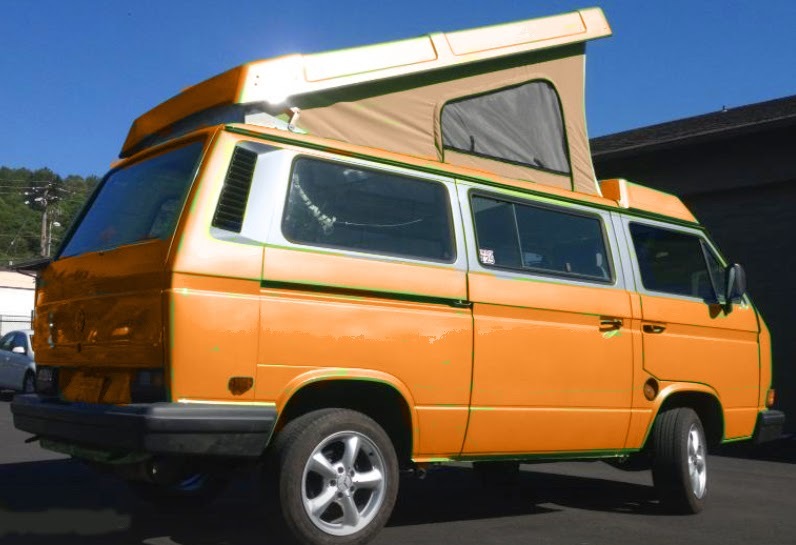 Today we took Benny in for a new canvas and an alarm replacement as well as a spring tune up to ensure he is in tip top condition for our next camping trip. Saturday I headed out to NorthWesty to meet up with Kirk on his day off to work on the build list and spend time working on the van. Sarah stayed at home to keep an eye on Daisy after her trip to the vet on Friday. 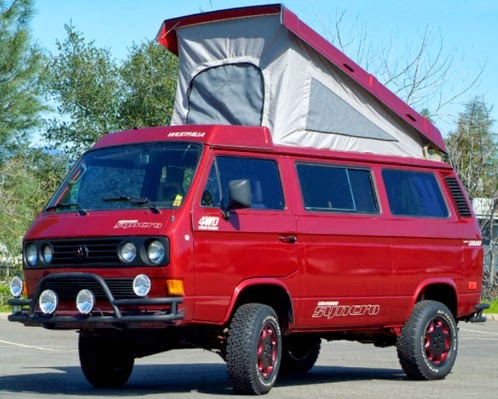 It was a great day spent talking shop and meeting fellow Vanagon fans. Kirk's passion is well known and the quiet day turned into a busy one as Kirk was pulled in all directions dealing with customer, project work and friends dropping in. A new strategy is going to be needed to get dedicated time :). In 7 hours we managed to work through the build sheet adding option details and preparing for the next round of choices. 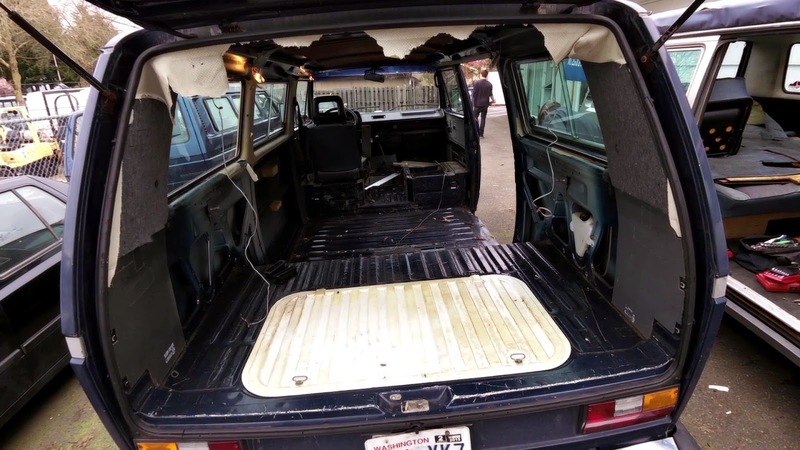 We then headed out and stripped the interior of the van. We did not have time to cut the hole for the camper top but progress was made. If you had said to me 6 months ago, Matthew in the next 5 months you are going to switch jobs, take on a new role in a new team, work long hours building reputation and understanding, ride the lows of frustration, ride the highs of changing perspective and building great senior leadership relationships, suffer disconnected management and blindsided by feedback taken out of perspective, have to fight for your reputation, then in the midst of adversity find amazing support and friendship, consider leaving full time employment to travel the US. Run Foundation Classes and impact peoples lives, Start the build of your dream VW camper, be humbled by an entire teams vote of confidence and have to choose between, a team you have the highest respect for and who want you to join them, realize the opportunity to fulfill a life ambition of leaving full time employment to travel the US in a VW camper van or take an opportunity to help drive the accessability strategy for the company. I honestly have no idea what I would have said to you ... Writing this is seems surreal to me and I have just lived through it an I am closing that chapter in the next 2 weeks. So whats next .. I decided that the opportunity to make a difference in the accessability strategy was too exciting to turn down right now and accepted the formal offer today. So I am closing one chapter and opening another. If I am taught anything it is that things don't always go as planned, we learn from adversity and I have to believe that the universe puts us in situations we need to be in and sometimes the lessons are hard. 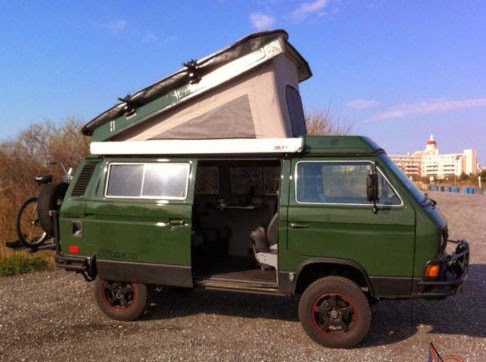 Lessons of this nature I hope are few and far between but without it I would not have the opportunity ahead, met such amazing people, re-awoken the dream of travel or even considered building our dream camper. Even more so the realization that we could make it happen and still survive has inspired action to build the means and opportunity to make it happen in the not too distant future. Until then I am looking forward to a new challenge, the opportunity to enjoy building our new camper not to mention using the old one to get out more and meet like minded people. Embracing the gifts we are given in life and living the principles this blog is built upon. Powering UP and Living Life to the Max - MAXLIFEOUT. If you are going through your own journey I send you my support and inspiration to help you find the lesson(s) the universe is providing and to let you know that you will get through it. You are a unique and wonderful person take strength from that fact and never forget it even when it seems hollow it is TRUE. In closing I have to thank my wonderful wife for the support, encouragement and belief she has provided, I am truely blessed to have her in my life. Finally got around to editing the kit reviews we made whilst travelling in Benny on our West Coast trip back in 2012. Better late than never and I hope they are helpful. Let me know if I have missed anything or you have any cool idea. Matthew "What do you think of our choice"
Sarah "I'm not sure ..."
Matthew "We need to be sure ..."
Sarah "What do you think of Purple or Pink"
Matthew "Your kidding right ... we said no to Purple or Pink"
Sarah "What do you think of the Colour ..."
Sarah "Your not filling me with confidence ..."
Matthew "No it is a good colour, just not sure about the grey"
Sarah "What about Purple or Pink"
This conversation went on for a while and we decided to sleep on it. Bad idea as the colour monster pounced at around 3am in the morning. After a not so good night sleep Sarah finally conceeded Purple and Pink, a colour choice I just could not get my head around, OK, OK, I think it is too girlie for a rugged 4x4 so shoot me ... We then agreed there was no other colour we liked better than our choice, but seriously does making decisions have to be this hard - apparently so, for life changing decisions such as the colour of our Syncro. 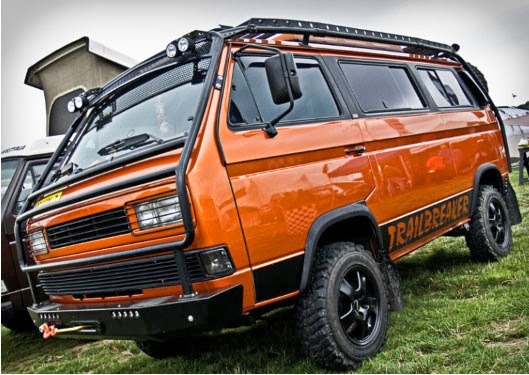 An exciting day as we took the second step to owning our custom VW Syncro Camper. We took the first step last week after building a rough wish list we spent a good few hours with Kirk talking through options and of course prices. Tomorrow we head back to Northwesty to talk through the build we put together last weekend and start looking at colors and fabrics. Sarah said it is like building a small house and she is not wrong. 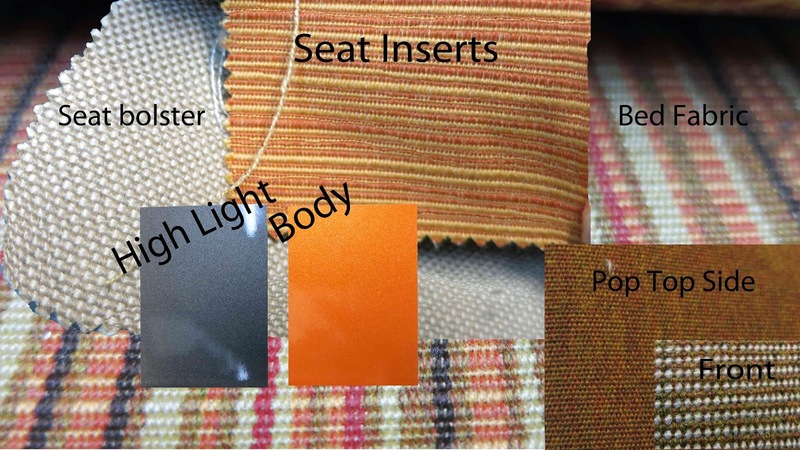 All week we have been looking online at colors and interiors, but are we any nearer to a decision, "Nope" here are a few we have found online. I won't tell a lie, last week was tough and the cause of a lot of introspection. Why, well 4 months ago I took a risk and changed roles at work after reflecting on my career and personality. I embraced the role with gusto and learnt a tremedous amount. Looking back could I have read the role better and could I have seen the signs earlier, yes, but that as they say is the benefit of hind sight. It seems sometimes the universe is giving us what we ask for even if we don't realize we are asking for it. Two opportunities have since arisen that I would never have had exposure to. Regardless of whether the opportunities transpire the vote of confidence is humbling. At the same time I found new friends who provided support and assistance unlooked for which I am truely grateful. In the depths of frustration Sarah planted a wild seed of thought in my head. She said "why don't you just quite and we can travel for 3 months" at first I dismissed it, but then everywhere I seem to turn the idea of letting go and traveling presented itself. Now it could be that I am looking for it, like a color you don't see until you start to look and then you see it everywhere. Well that is as it maybe but the idea has stuck and we started to look at campers that we could spend up to a year traveling in. 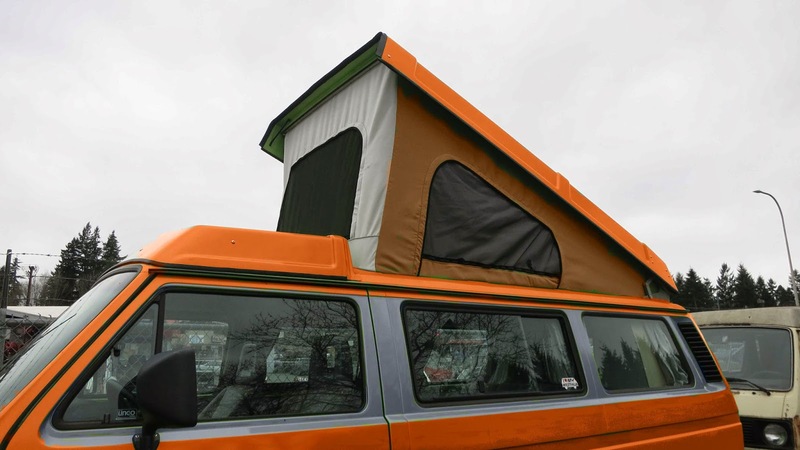 We met with a friend who took a year out traveling, he inspired us and that weekend we very nearly purchased a sprinter camper. As it turned out we did not buy the camper but did meet a wonderful couple that we hope will become good friends. 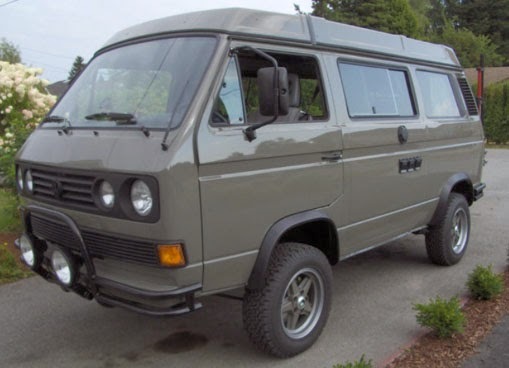 4 years ago we purchased a restored 1985 VW Vanagon Westfalia Camper that we call Benny, yes we named him as all good friends need a name. We have had so much fun in Benny and often talked about living in the van and traveling. 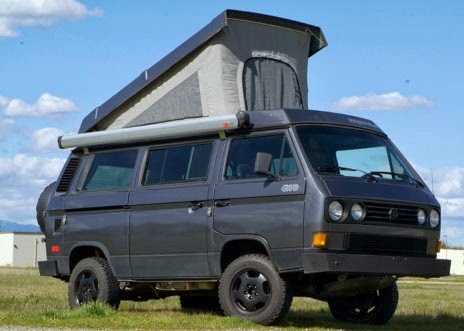 After considering a bigger camper and an Airstream Trailer we came back to the fact that the VW is just a great form factor. 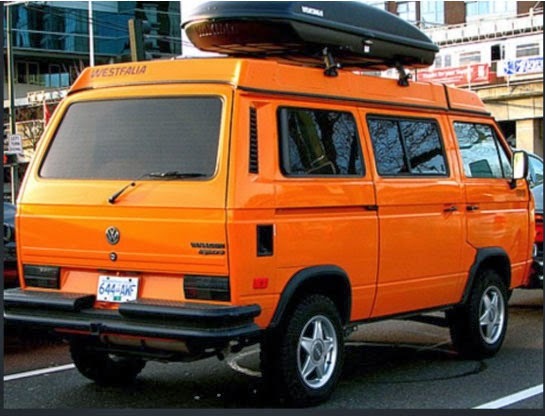 Sure we would like something bigger but there is something about the VW and the VW community that is just, well Cool. 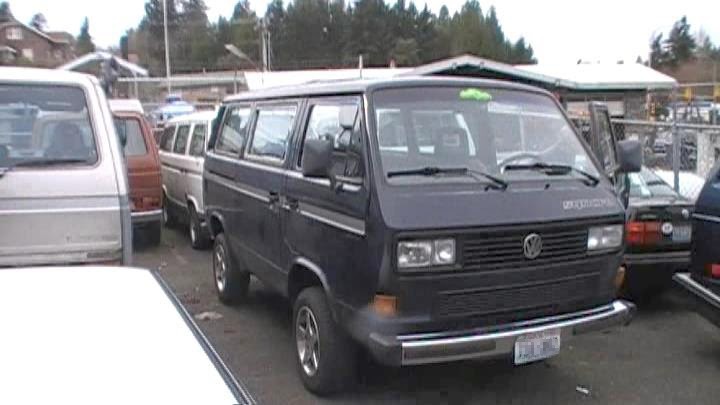 So we decided that if we did do it, it would be in a VW Vanagon. That lead us to consider if we would travel in Benny and why wouldn't we since we already have him, right. 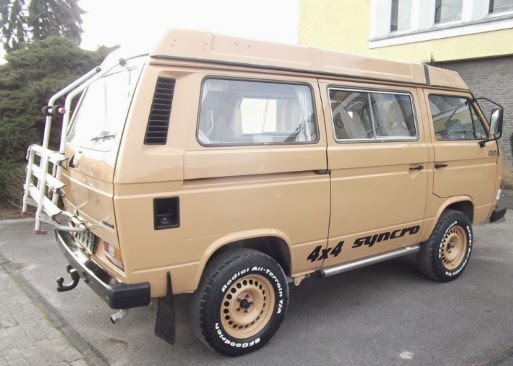 Well we could but ever since getting Benny we have wanted a Syncro, whats a Syncro, its a 4x4 Vanagon and it could take us places Benny can't go. 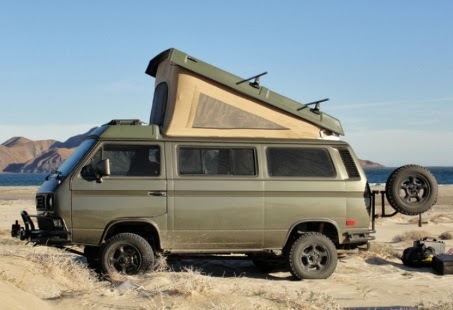 Since we are considering a trip why not build our dream camper. 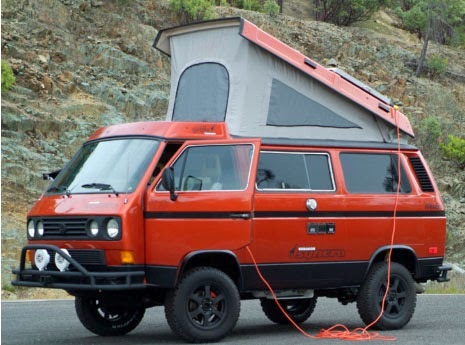 Another crazy thought but why not, it would be a journey that we could document and share and at the end of it have a camper to go anywhere in. Now let me be clear, I am handy but not that handy, so we called our friend Kirk at Northwesty and started to talk about the idea. 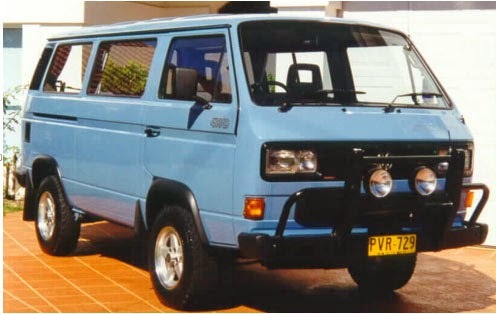 As luck would have it an ideal donor van is available and a Saturday discussing options has left us with lots to consider and next steps to take. Back to the first crazy thought, giving up work and going traveling. "Really could it be done", "could we take the plunge" these are the thoughts buzzing around in my head, very quickly followed by "what am I thinking", "am I crazy" and then followed by "I want to" followed by "It means giving up my job", "what if I can't get another job" followed by "sure I could contract" followed by "do we have enough savings" and it goes on. Yup, I am conflicted and the decision has not been made yet but the more I think about it the more it seems to make sense. Time seems to be flying by faster and faster and I can't help feeling terrified that now may be the time. I created Maxlifeout to share my journey to make the most of every day and to help inspire you to do the same. Well I have an admission to make. I have fallen into old ways and allowed circumstances to dictate life rather than grab life by the collar. Funny how that happens and how easy it is to fall into old self limiting patterns. I am sharing this blog as real life has ups and downs and today is a down. My wonderful wife inspired me to share this as life is real and the journey the universe puts us on is not always clear. Back in October, I decided to challenge myself by taking an individual contributor role for a newly formed team. I believed it would be a good fit for my strengths and one were I could make a difference. I throw myself into the new role and let it consume me. Yup there was the first sign, did I mention I am a type A personality, well I am and the full force of that personality was applied. By the time I got home in the evenings, I was a zombie, all I wanted to do was veg out in front of the TV. That is the toll throwing my all at something has on me, and I tell myself it is worth while. I tried to maintain empowering patterns. 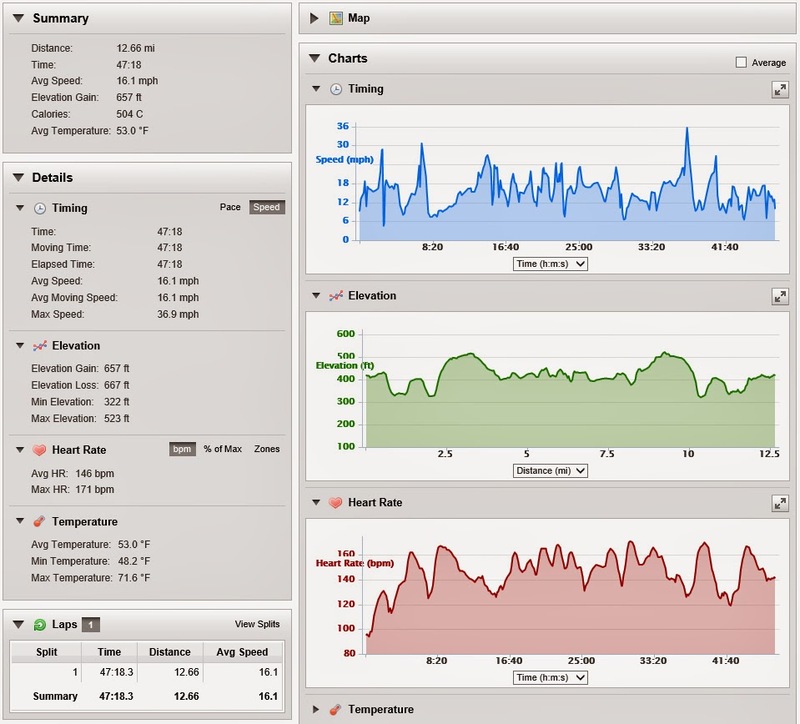 In January I completed the online 9 day bike tour of Sufferlandria, boy that was tough, but after the tour, I lost motivation. Over the holidays I took vacation and had enough time to get Foundation Training classes up and running but it was all I could do to maintain the energy to keep them going and failure to market the February classes led to only one class being run. Yup all my energy was being diverted into my new role. It is funny how you can work so hard and still not be successful, surely they see what I am doing, the difference I am making. Sadly in my experience it is often the times I work the hardest that I am the least successful. Being knocked down whether your fault or not is a lesson, I know this but boy getting up always feels tough no matter how practiced you become. I tell myself, I should have read the role better, I should have seen the signs, I should have, I should have, but the truth is not matter how much I should have, I have arrived at the here and now. It does not matter that the role and responsibility of the position was not clearly defined or that the support system for a new team member was lacking. It does not matter that doing the right thing upsets the norm and challenges others. It does not matter that manager & peer support is lacking, it does not matter that those you are trying to help love what you are doing when those you work for see you as the problem. All of these and more sound like excuses for failure and you are left feeling why me again. I am writing to remind myself and you that failure teaches us and is the very definition of taking a risk. I have been humbled by wonderful feedback from those I have supported and the effort they have gone too to support me, including sponsorship for a new role. But the words and actions of your manager still hurt and in that hurt the universe reminds me to let go and remember who I really am. I define who I am and no one else. That is easy to write but much harder to internalize, trust me. I find my self at a cross road that I will admit is frightening. Do I pursue another Job or it the Universe providing me with the circumstances to let go? Since arriving in the US I have wanted to travel and see the sights I moved 5000 miles to see. Instead I have allowed my career to dictate my life. I want to let go but I am frightened, there I said it, ok not just frightened but terrified to let go. What if I take this as a sign from the universe and I get it wrong? What if I give up my job and can't get another one? What if I am knee jerking because of a bad situation? I don't know the answer today but just getting these words out have helped. Thank you for reading and if you are facing a struggle, I send you my strength as I ask for yours in return.